Doctor Strange is the latest addition to the Marvel Cinematic Universe. Not familiar with Doctor Strange? You’re not alone. Marvel has been able to take a lot of lesser-known characters and throw them into tremendous movie franchises that lead to the Infinity Wars films. Think about how many films have been made since the introduction of Iron Man in 2008; everything has been working up to the Marvel Infinity Wars movies. Doctor Steven Strange is a gifted and conceited neurosurgeon with the world at his fingertips. Shortly after his introduction in the film, his physical talent is taken from him. After traditional and experimental medicine fails him, he takes a step into the final option and enters a metaphysical and magical realm. As part of his journey to regain his hands, he has to relearn everything he knows about nature, the world and science. It’s grueling to see the changes that he goes through and I think this is a testament to Cumberbatch’s acting skills. Overall, everyone in the film does an amazing job with their roles and there are some big names in this film. Doctor Strange is a gorgeous film, if not one of the most beautiful Marvel films ever made. The magic in the film looks and feels grounded in the natural universe, which sounds strange, even though it works very well. The filmmakers take full advantage of digital art to create a seamless and completely believable world through magic. I thought the blu-ray extras were well done but not groundbreaking. There are segments on the costuming, creating the worlds and how they brought the characters into the film. The segment on creating the magic and the fighting styles was my favorite; the film is well-grounded with familiar martial arts fighting styles and feels natural. Team Thor: Part 2 was spectacular. My 13-year-old did love the gag reel a lot more than I did. I saw this film in the theaters and it was one of my least favorite. After watching it a second time on blu-ray, I’ve really come to love the film, the characters and the environment. I think this one stands up there with some of the best of the Marvel films, especially when looked at as part of the entire arc. 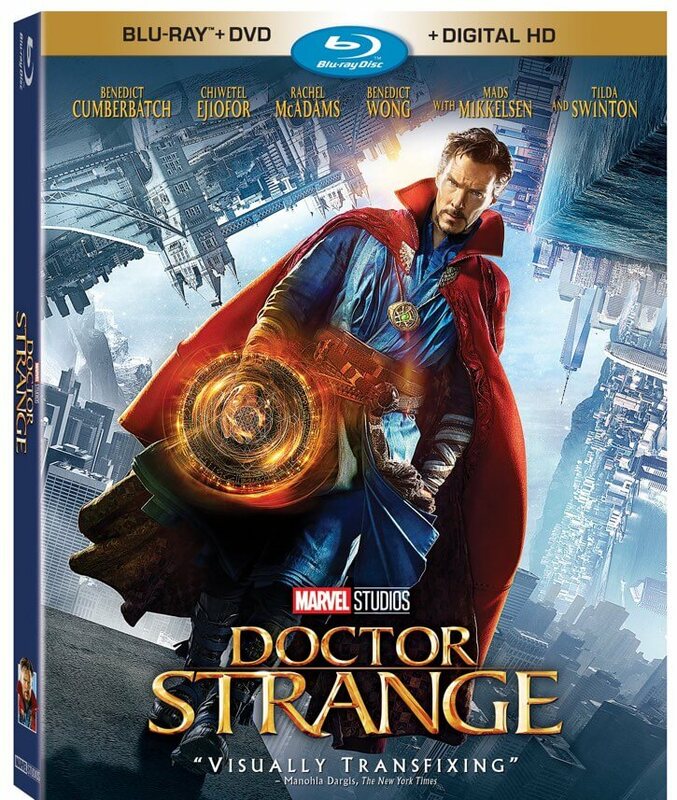 I wholeheartedly recommend Doctor Strange on blu-ray. What did you think about Doctor Strange? VR Drop Tower at Six Flags Over Georgia!